Highlights: Classical Art (MFA), p. 042. 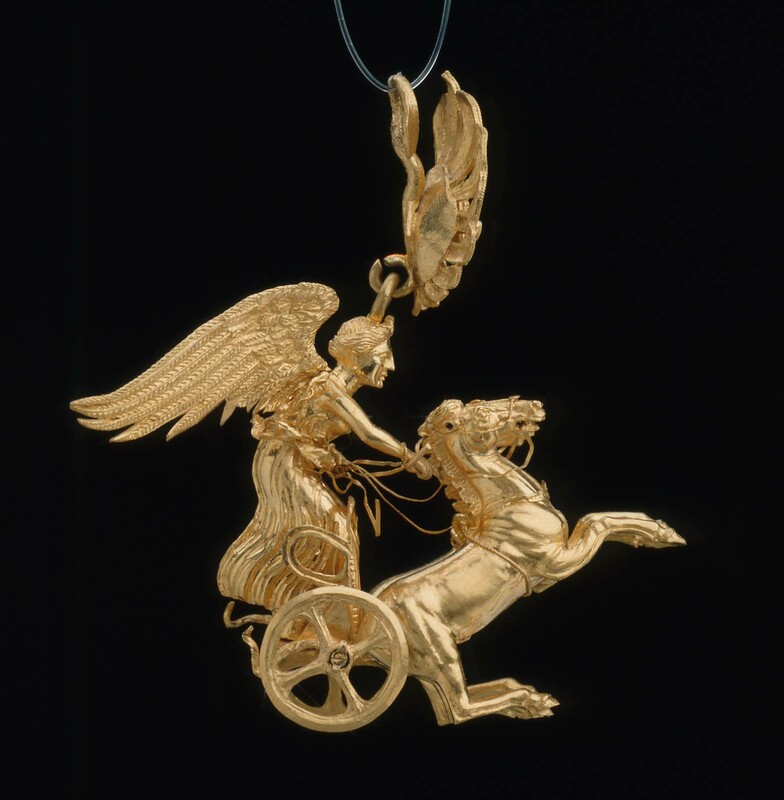 Earring in form of Nike driving a two-horse chariot (biga). 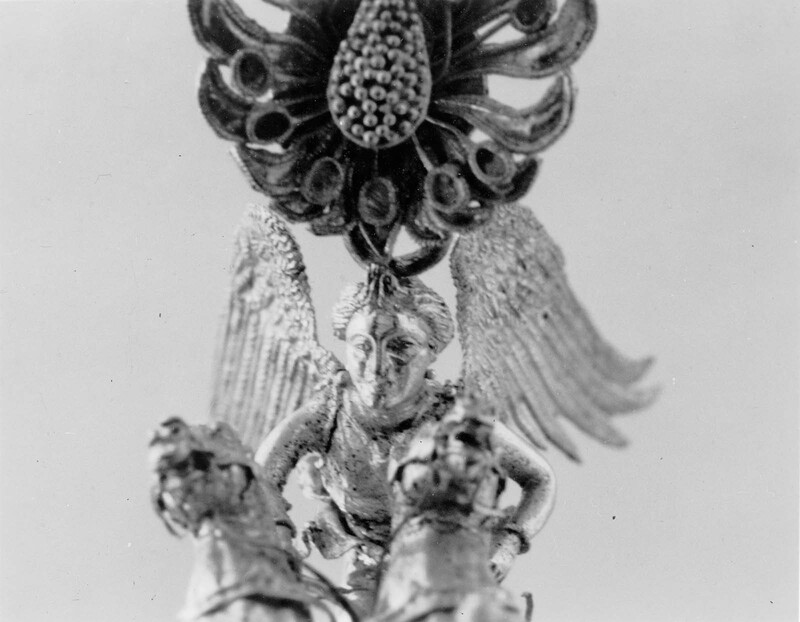 The figures are modeled in the round and form a pendant suspended from a disc in the shape of a honeysuckle palmette. Wearing a belted chiton (tunic), a full-length skirt, and several items of jewelry, Nike leans forward, her left hand pulling on the reins of the horses, whose front legs rear sharply. The features on the goddess’s face are crisp and her expression resolute, while the animals appear startled and tense. 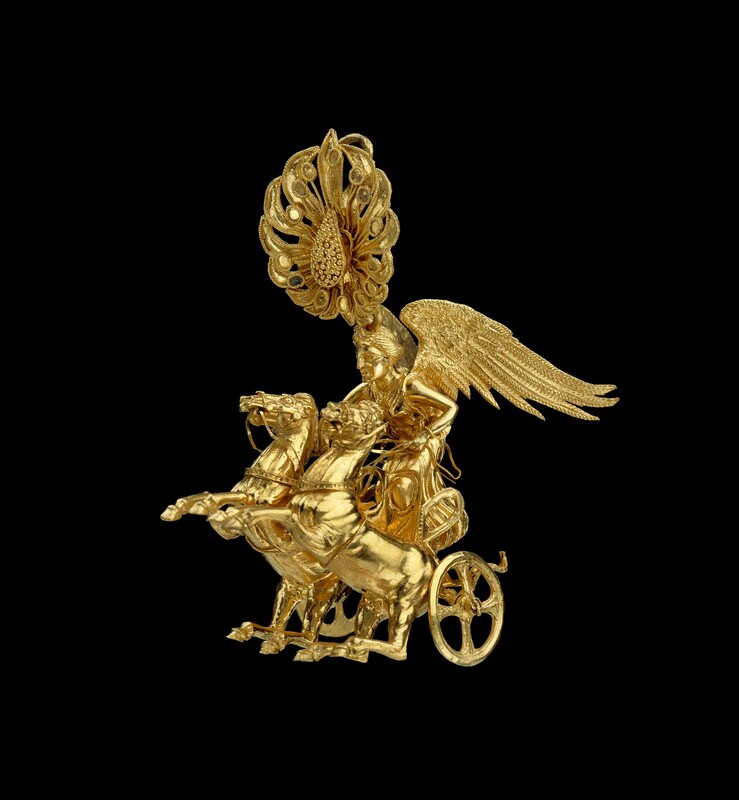 Raised as if in flight, Nike’s elaborate, feathery, and finely chased wings provide an elegant counterbalance to the dynamic composition. The ornament is composed of more than a hundred individual elements soldered together. 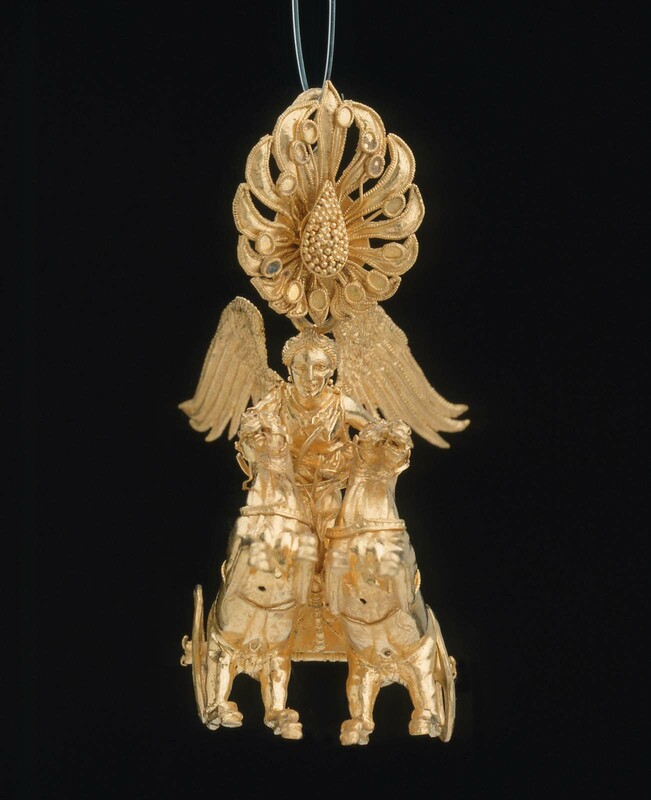 The bodies of the figures are crafted from gold sheet that is embellished with wirework details and small gold balls. The honeysuckle palmette is fashioned into curved petals and circular stamens outlined with fine twisted wires; remnants of enamel survive on several of the stamens. In the center of the leaf is a tear-shaped fruit encrusted with dense gold granulation. A hoop on the underside was probably attached to an ear wire, which is now missing.